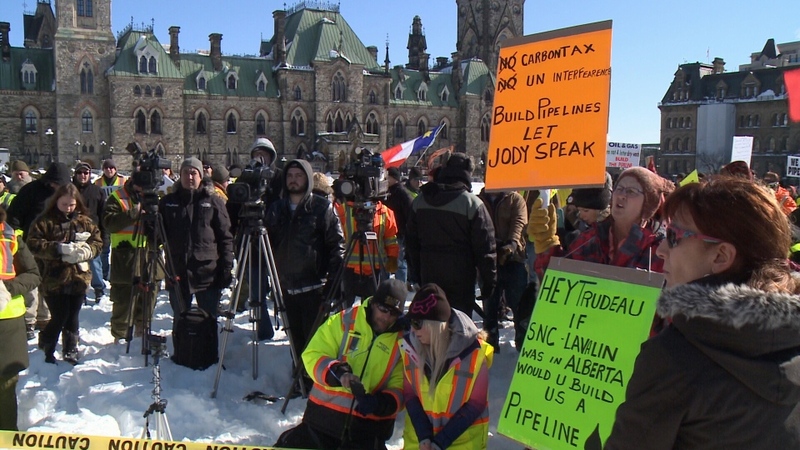 While organizers of a five-day pro-pipeline convoy to Ottawa say their effort was to “unite Canada,” counter protestors in the capital city called the rally frightening. About 200 trucks from Alberta occupied Wellington Street in front of Parliament Tuesday. Some in the rally brought megaphones, others signs. “We don’t want to be lied to no more!” shouted one woman from Lloydminster. “Represent the people you are paid to represent,” a man in a yellow vest yelled. The “United We Roll” convoy is calling on the Liberal government to scrap bills C-48, C-69 and the proposed federal carbon tax, all of which they consider damaging to the Canadian economy. “The politicians need to start listening to us,” convoy organizer Glen Carritt told CTV News. Some Yellow Vest activists believe Canada has an immigration policy that is too expensive, and disagree with the country participating in United Nations migration pacts. “Us Yellow Vests aren’t racists. What we want is we want legitimate people coming into the country,” member Mitch Mercier said. 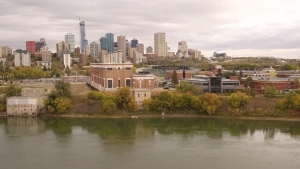 Alberta Premier Rachel Notley said Tuesday she appreciates the convoy’s support for the energy industry, but that the government has urged organizers to be careful about their messaging. “We cannot stand with those who are delivering additional messages that are divisive, and quite frankly, not ones that we agree with,” she said at a press conference. According to a Calgary political scientist, the convoy has to focus its message on energy to be taken seriously. 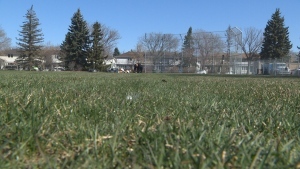 “Once they go beyond that, that’s where trouble starts to lie,” Duane Bratt, of Mount Royal University, told CTV News. Organizers of Tuesday's rally in Ottawa said the event was peaceful, while counter protestors called it frightening.